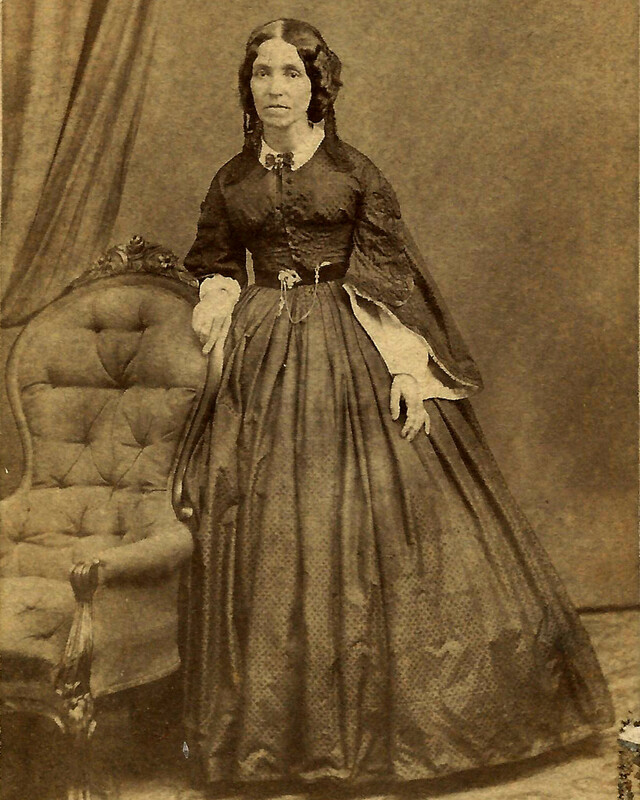 Hannah Morse Gleason (1820-1863) was born in Alexandria, Virginia in 1820 to Amesbury natives Orlando and Sarah (Perley) Morse. She was married at the age of sixteen to twenty-four-year old mason Gamaliel Gleason in Andover in 1836. The young couple first lived near Phillips Academy (and next door to Gameliel’s parents) but later moved to a large and handsome brick house (now 12 Essex Street). Her younger brother, Orlando Morse, Jr., (b. 1828) lived with her while he attended Phillips Academy in 1843, and later worked as a mason and a nurseryman and lived with his wife and children on High Street. She may also have had another younger brother (or perhaps half-brother), William H. Morse, who served in the U.S. Navy from 1862-1865. She had three children alive at the start of the War. The oldest was seventeen-year-old Benjamin, who graduated from Phillips Academy in 1862 and Williams College in 1866. He did not serve in the War. She died on May 27, 1863.